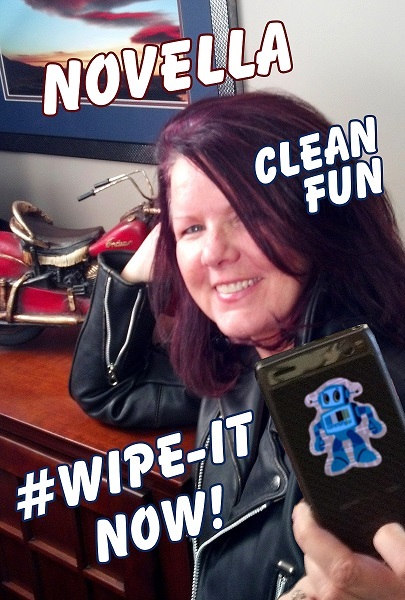 Account Manager, Novella Charon with Wipe it Now! New Case Study from EMT: Wipe It Now! EMT Case Study: Wipe It Now! • Inexpensive and always visible, the gift everyone will use! Purposes: Perfect for cell phones, mp3 and DVD players, GPS, cameras and game players. Wipe It Now! 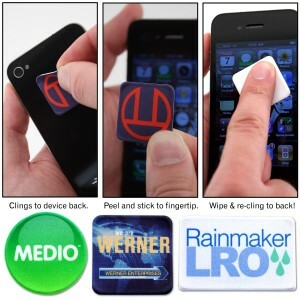 is an adhesive microfiber material that clings to the back of devices—where it’s stored for quick access. To use, place on fingertip to clean screen completely of fingerprints, makeup residue and streaks. Wipe it now! is reusable and washable—just rinse in water to restore self-adhesive properties. Objective: Brand Recognition with an affordable promotional product that would in some way make the software company name synonymous with the technical/electronic industries. Strategy: As part of repackaging initiative in partnership with the software’s company largest retail distribution partner, a “software” bundle was created over the holiday season— this bundle included wipe-it now! 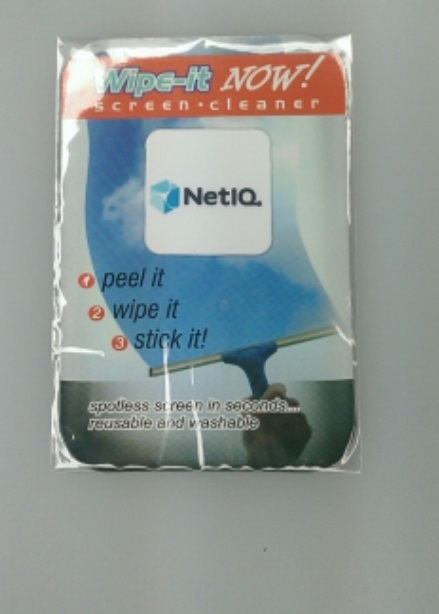 screen cleaner by EMT. The elements of the bundle were picked out based on affordability, relation to the industry, and dimensions and size in relation to the bundle. Not only is Wipe It Now! extremely affordable, it also can be washed and reused several times, and displays logos and company names prominent on the back of the electronic device. Are you talking dirty? Wipe It Now! Email customercare@emteasy.com for a free sample. Wipe It Now! Email customercare@emteasy.com for a free sample! Maybe you should Wipe It Now! 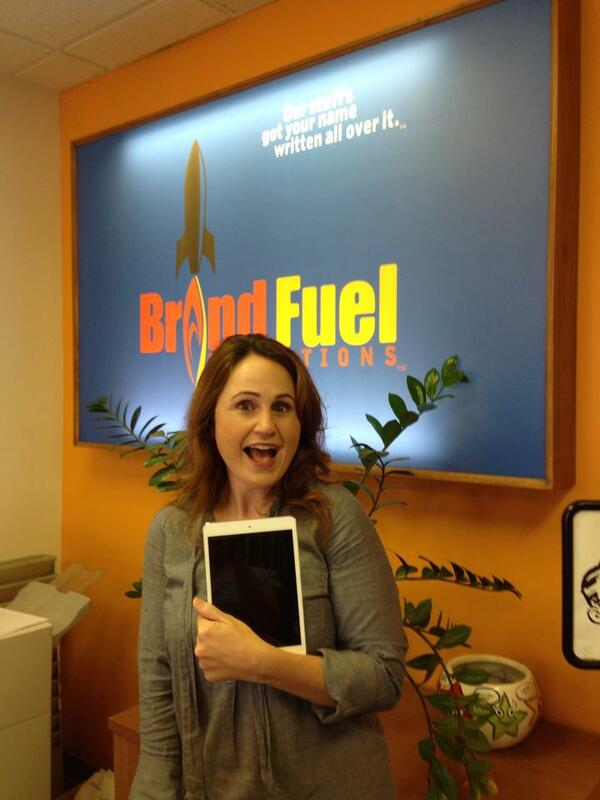 Purposes: Technology and communications, entertainment, trade show and event giveaways, public service campaigns, small business advertising, schools, Greek organizations, youth groups, gaming. Strategy: An electronic payment processing firm needed a way to promote their brand to savvy clients on the cutting edge of technology. 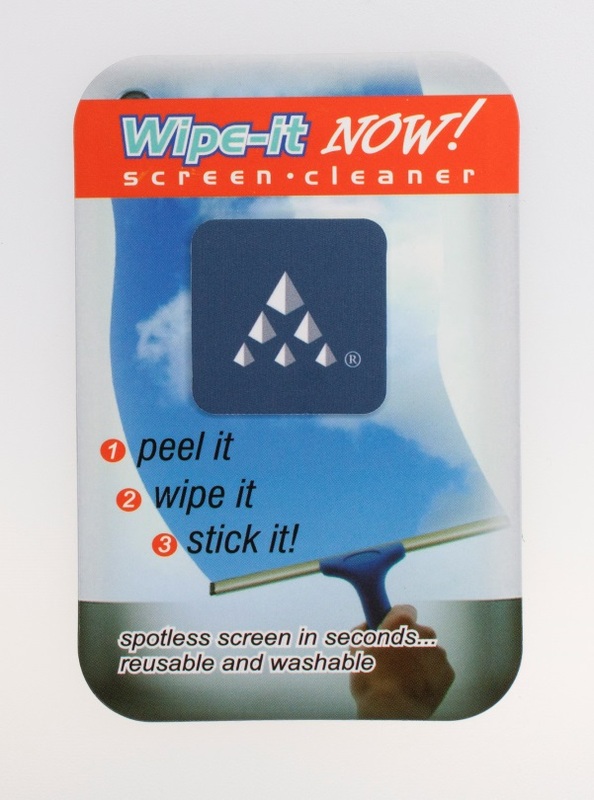 Wipe-it Now screen cleaners proved to be the perfect tool to keep their name at their customer’s fingertips and associate their brand with the revolutionary technology their customers rely upon.